Before you begin the Bootification process you should backup and/or create a branch of your project so that you can always view differences between the original and the bootified application. If a project is not using a build tool, then the recommendation is to use Gradle as the build tool, however if the project already uses either Maven or Gradle then it may be better to continue with the existing tool. If the application is using ant, then make sure all the build dependencies are in one folder and you're following the Spring Boot standards for project structure setup. If you are teasing out a slice of functionality from a monolith application then you should begin your journey by creating a new Spring Boot project with Spring Initializr. Spring Initializr is like a shopping cart for all the dependencies that you might need for you application. For Maven based projects, Spring Boot uses a parent pom.xml for dependency and plugin management. - If the application already contains a parent `pom.xml` and it will be the go-forward parent `pom.xml` then you can add a `<dependencyManagement>` section to your `pom.xml` and include the `spring-boot-dependencies` to use Spring Boot's dependency management. - If the application has [multiple projects](https://www.petrikainulainen.net/programming/gradle/getting-started-with-gradle-creating-a-multi-project-build/) at the same level, then a root build.gradle describes elements that are common to all the projects. Since Spring Boot is likely to be managing the dependencies of all the child projects, it can be added in as a plugin to the child projects. At this point you should be ready to add your first Spring Boot starter dependency and test case to your application. - Add a Spring Application Context load test case and run it. You can use the following test as a baseline for ensuring the application has the necessary dependencies and is configured correctly. The test will attempt to fire up the application and create the Spring Application Context. The test case should fail at this point. One approach to creating a Spring Boot application is to add a java main method inside of a class annotated with @SpringBootApplication. The @SpringBootApplication convenience annotation encapsulates the @ComponentScan, @Configuration, @EnableAutoConfiguration annotations. Additional information about @SpringBootApplication can be found here: 18. Using the @SpringBootApplication annotation. Create a Spring Boot application class in the package created in the prior step. Comment out explicit versions <version>x.x.x</version> NOTE: A compromise will most likely need to be made for some 3rd party dependencies that are not managed by Spring Boot's dependency management. Repeat for each No Class Def Found Exception NOTE: If the application is a couple years old there is a good chance that it has accumulated some dependency debt. This is a good opportunity to only pull in dependencies that the application needs. 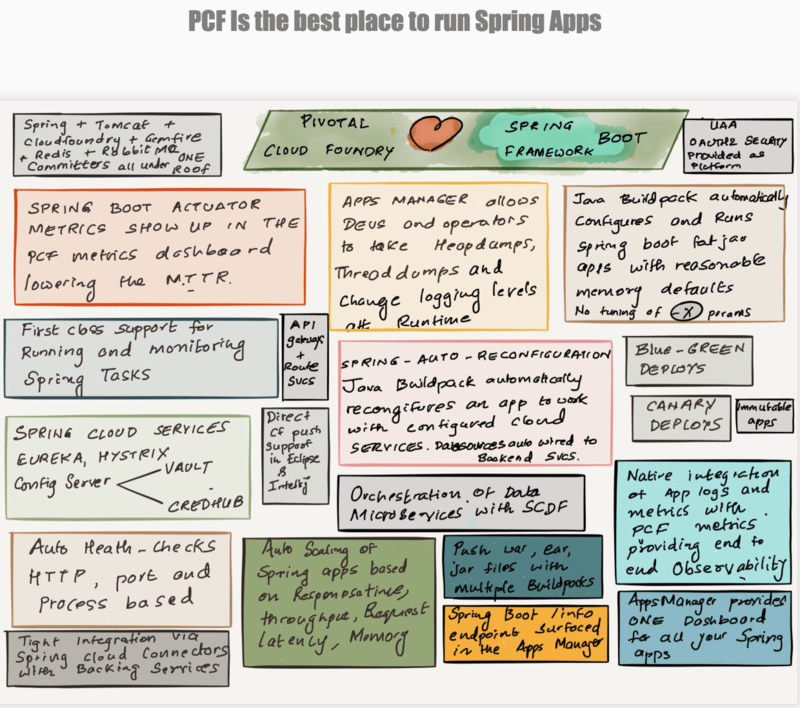 Auto Configuration is one of the core tenants of Spring Boots opinionated framework. Spring Boot auto-configuration inspects the jar dependencies and attempts to configure the Spring application context on your behalf. During the Bootification process you might find that by adding a jar dependency you cause an issue within your Spring Application context. The exception stack trace might indicate that there are multiple beans of the same type and Spring is unable to decipher which one to use. If this occurs, then you should review the types of beans to see if they are related to JMS, DataSource, Web Services, etc. Enable debug=true and restart the application. Spring Boot will log an Auto-Configuration report which might provide some more insight into the root cause of the issue. Spring Boot allows you to configure an executable war, executable jar or standalone war artifact. Replace the web.xml with a Java configuration class which includes @Bean definitions for Servlets and Filters via ServletRegistrationBean and FilterRegistrationBean, respectively. Spring Boot has multitude of options to configure the applications environment variables. To reduce configuration drift, you should aim to reduce the number of environment specific files/profiles to the least common denominator. If there are any Spring Application Context xml files then use the @ImportResource annotation to import it. If the xml file is small then this a good opportunity to replace with Java configuration. If there are groupings of properties that belong together then you should create @ConfigurationProperties annotated class to house them. Spring Boot provides an easy to use spring-boot-starter-logging module which will attempt to wire up your logging implementation based on the class path. The spring-boot-maven-plugin will, by default, add jars for running an embedded container in the lib-provided folder within your jar or war artifact. If you are unable to deploy an executable artifact using an embedded servlet container then you must take an extra step to either remove the plugin completely or add the maven-war-plugin to your pom.xml explicitly. Spring Boot combined with the Spring Boot Actuator Starter module enriches the telemetry capabilities of your application by providing a set of production ready endpoints to give you more insight into the health, performance, and environment configuration of your application. It also provides you with troubleshooting endpoints that allows you to trace http endpoints and generate heap dumps, emit custom metrics, and much more.